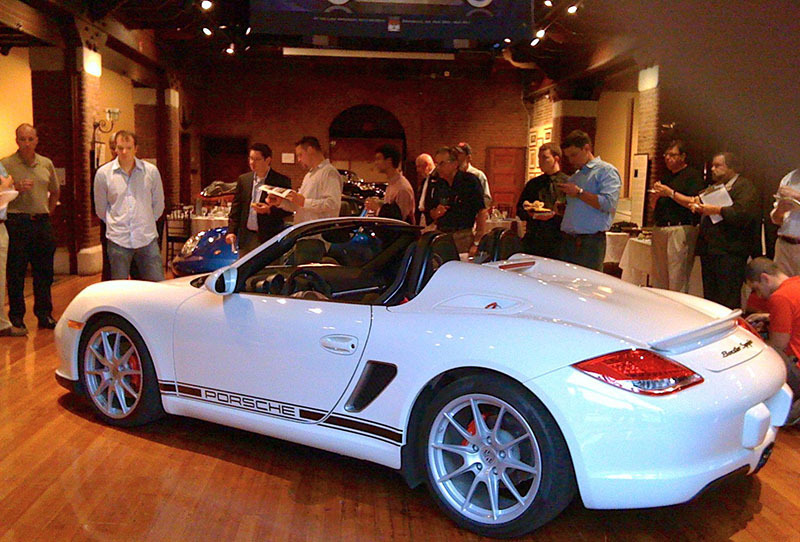 For special presentations to the New England media, carmakers hire the Automotion garage or the Larz Anderson Auto Museum. 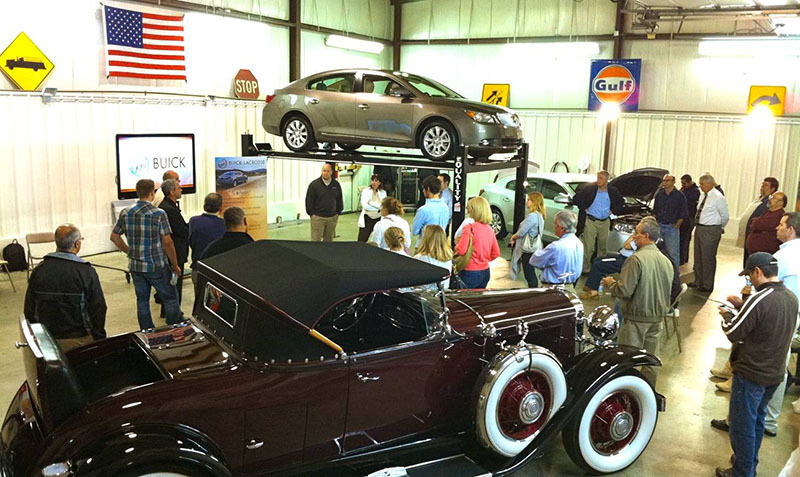 They are highly cost-effective places for “personalized” vehicle launches, introductions of new technology, or simply to meet and interact with NEMPA. 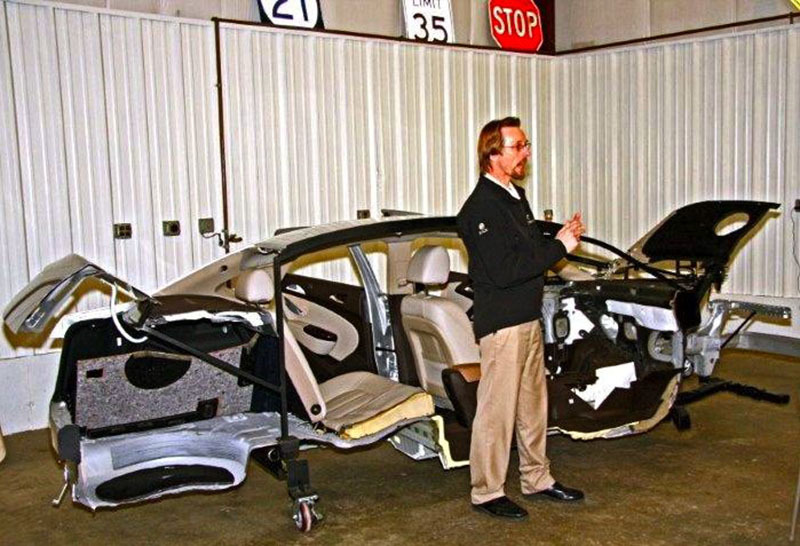 Buick Product Manager Mike Danowski goes over a cutaway of the Verano in the Automotion service bay. 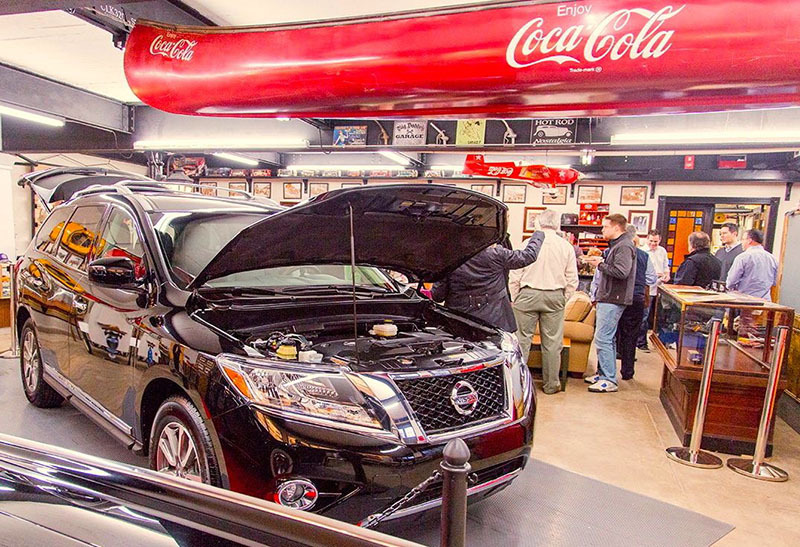 NEMPA got acquainted with the new Pathfinder in one of Automotion’s showrooms. 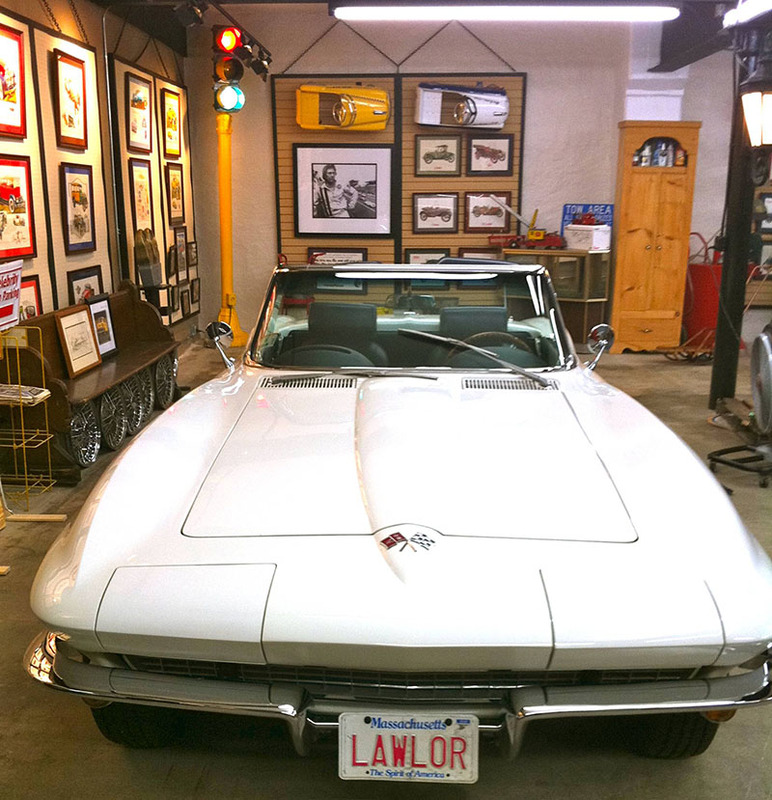 The Automotion ‘museum’ features many automotive treats, such as President Lyndon Johnson’s limousine, the ’55 Cadillac Fleetwood from The Godfather, Click & Clack’s fabled MG roadster and this ’66 Vette. 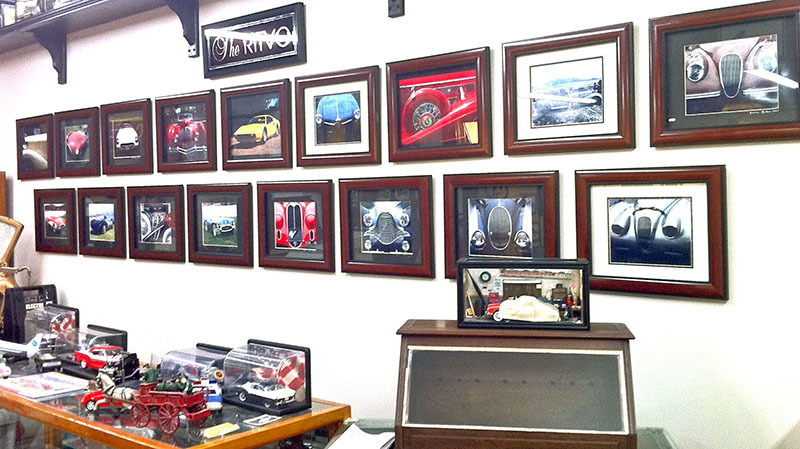 The Ritvo wall at Automotion. The photos were taken by the late Gene Ritvo, NEMPA veteran and acclaimed Concours photographer memorialized in the annual Ritvo Award for Design & Elegance. 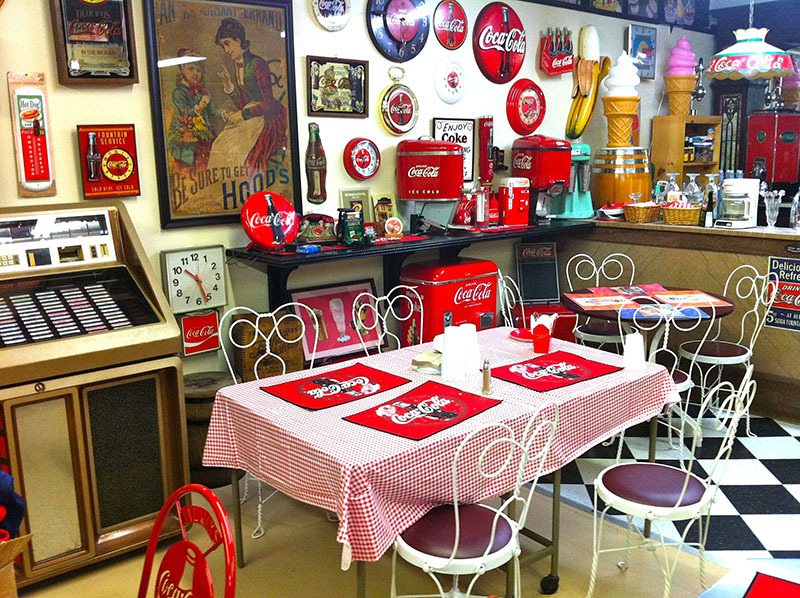 The Malt Shoppe, with its marble soda fountain and juke box, is perfect for smaller gatherings. Next to it is the antique general store and penny-candy counter. 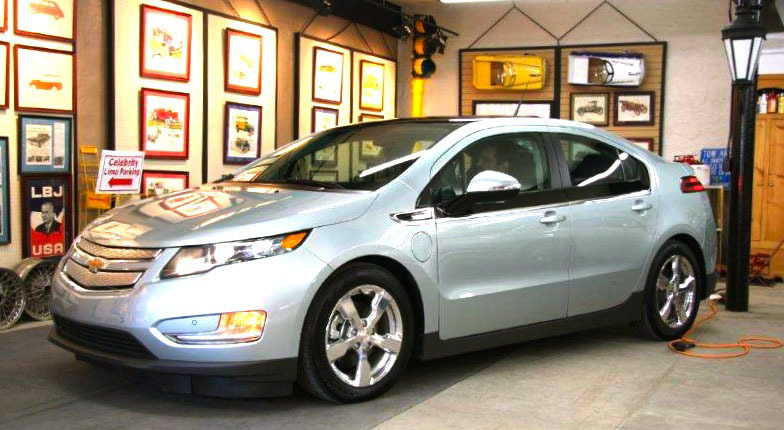 Chevrolet introduced the Volt to the New England Motor Press Association behind closed doors at Automotion. 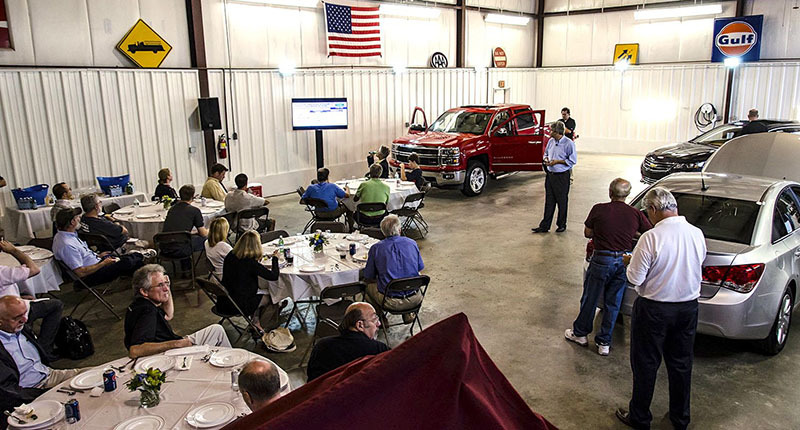 Larger groups can be accommodated in the service bay, even for sit-down dinners and multi-vehicle presentations. Easy access—just 10 minutes off Rte. 495 at Exit 4. For events that demand a more formal setting, NEMPA recommends the Larz Anderson Auto Museum, home to America’s oldest car collection, in Brookline, Massachusetts. The three-acre lawn at Larz Anderson is the staging area for NEMPA’s annual Ragtop Ramble & Crustacean Crawl. Since the turn of the 20th Century, LAAM has hosted picnics, concerts, parties and many other special events. The galleries in LAAM’s Carriage House, built in 1888, make a fine display area for cars and can seat as many as 150 people for dinner.